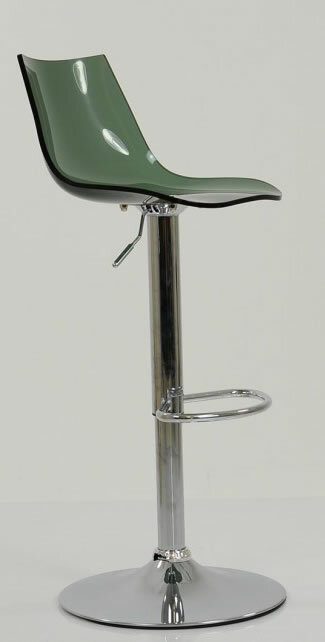 The seat has foam padding and a padded back. 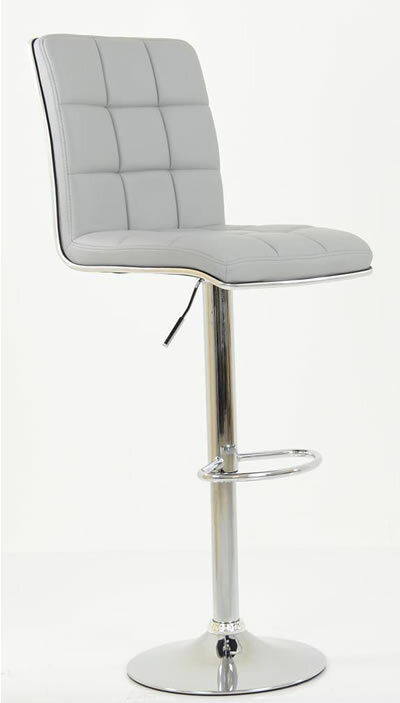 The seat has a stylish silver trim to set this stool apart. 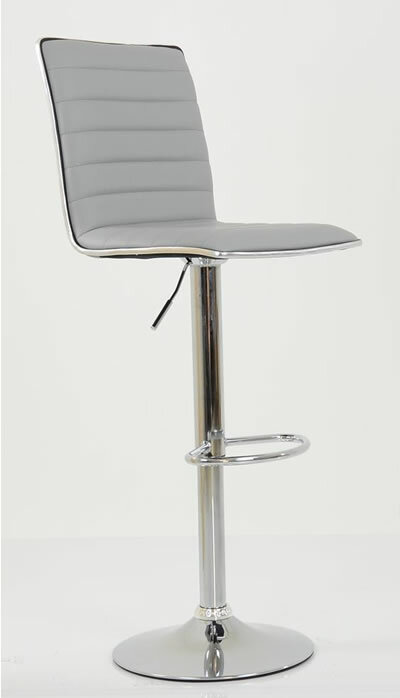 It will grace your home or workplace with its stylish silver trim. 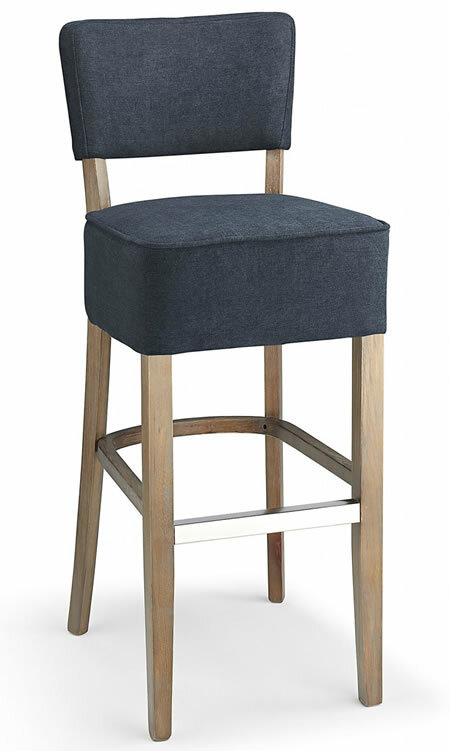 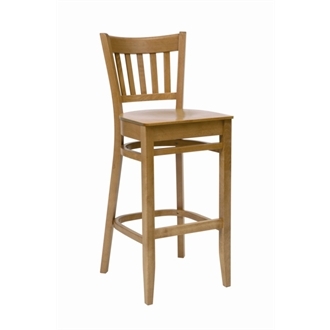 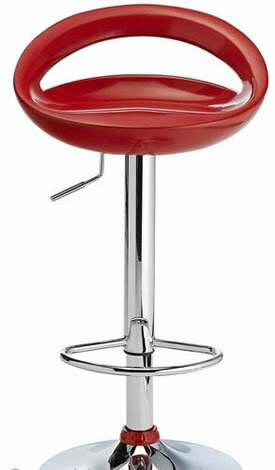 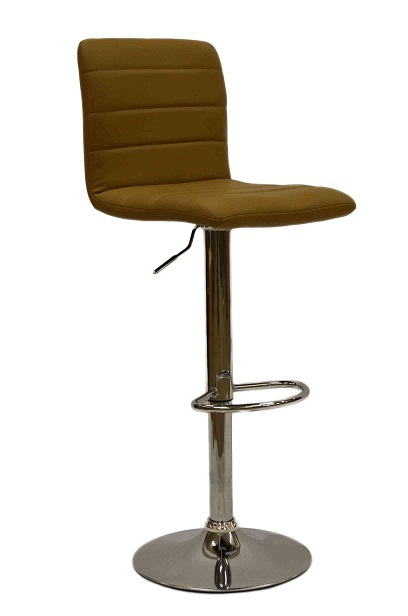 This sleek Fixed Height Bar Stool is a stunning additional to any kitchen or breakfast bar. 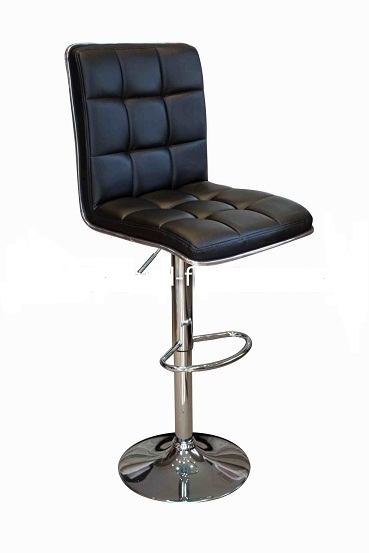 The seat is made from high density foam and covered in a high quality PU leather. 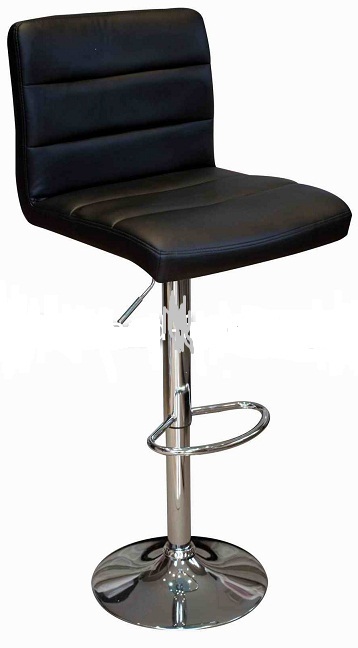 The cushioned seat sits on a tubular steel frame, complete with integrated floor guards beneath to help keep scratches at bay. 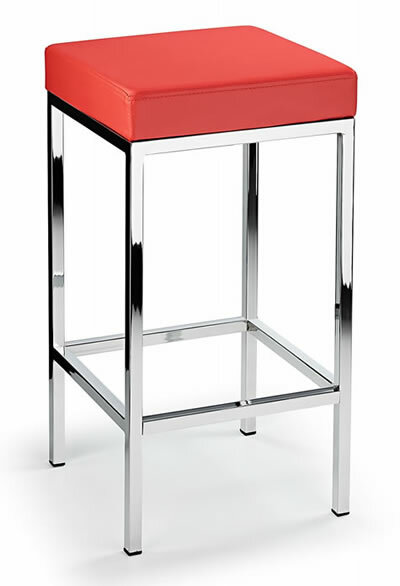 The footrest bar on all sides finishes off this stylish modern stool. 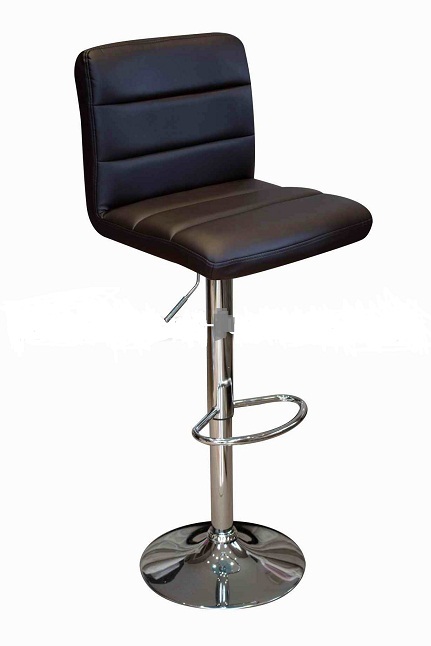 The seat is made from high density foam and covered in a high quality PVC leather. 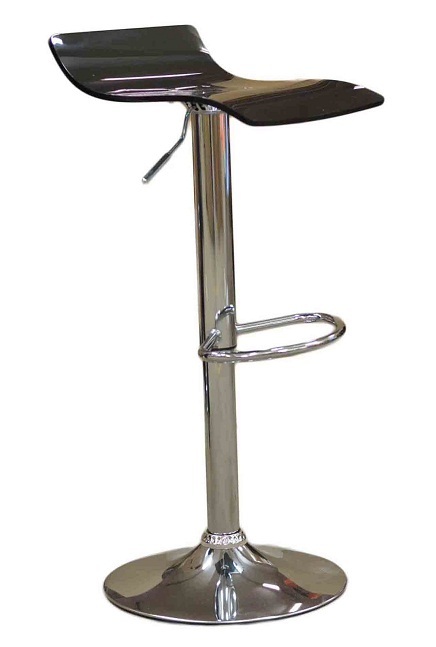 The cushioned seat sits on a tubular shiny chrome steel frame, complete with integrated floor guards beneath to help keep scratches at bay. 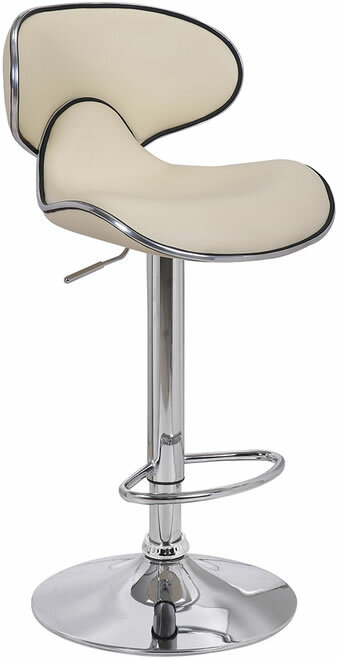 The seat is made from high density foam and covered in a high quality PVC faux leather. 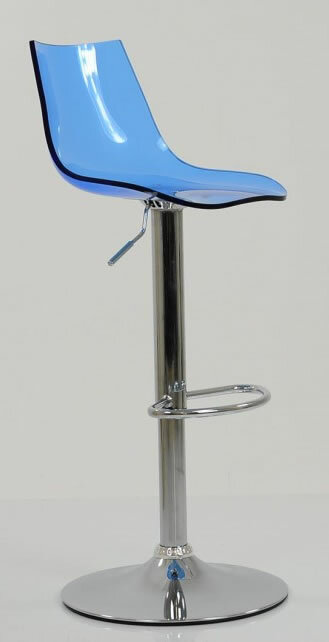 This handy bar stool is made of ABS plastic, which you can carry easily. 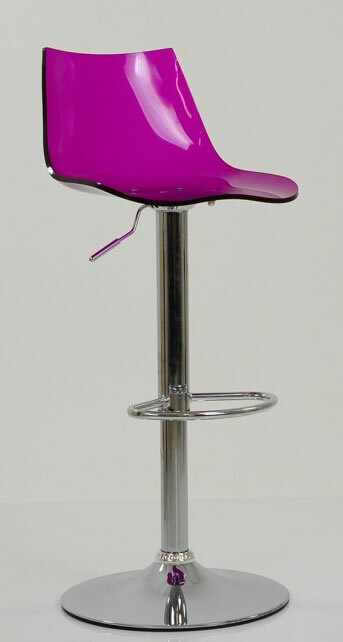 This bar stool was designed with a deep seat. 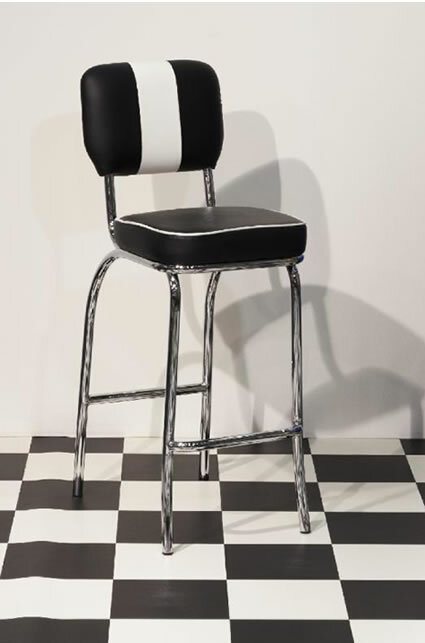 A chrome base adds a shiny look to this breakfast bar stool. The height is adjustable and there is a 360 degree swivel on the seat. 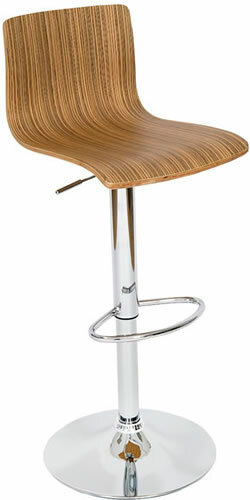 The design is made flexible to fit well enough in any interior. 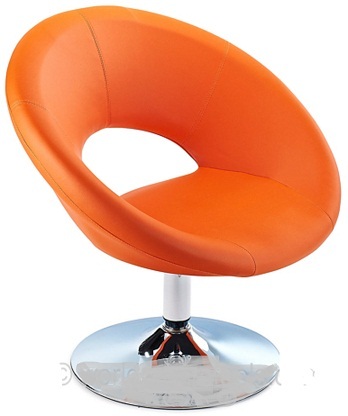 This futuristic design seems like it came from another Planet. It is so comfortable thanks to the curved backrest. 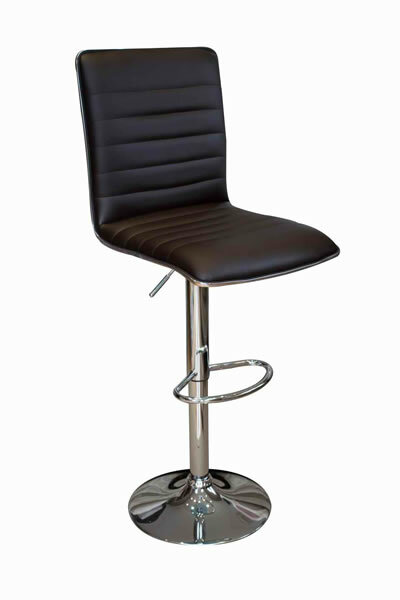 The finish in in fire retardent faux leather and is available in Black, Brown, Cream, Red, White. 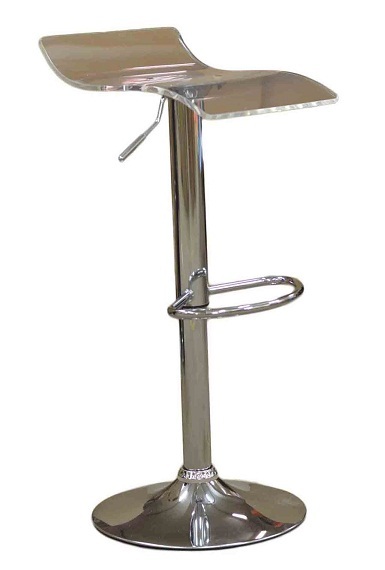 The chrome base as a floor protector. 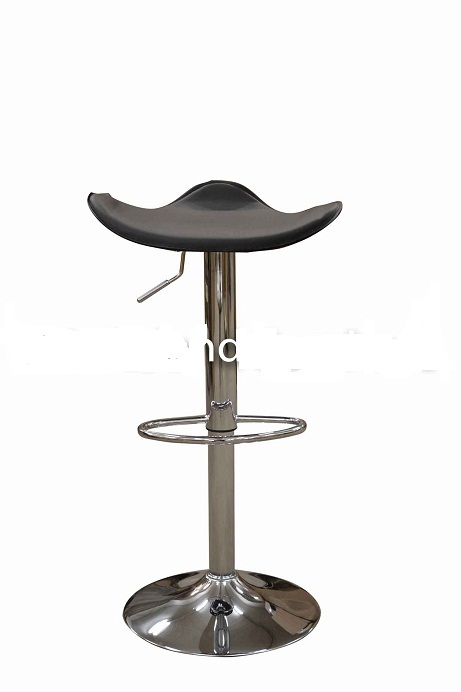 The height is adjustable, the seat has a 360 degree swivel. 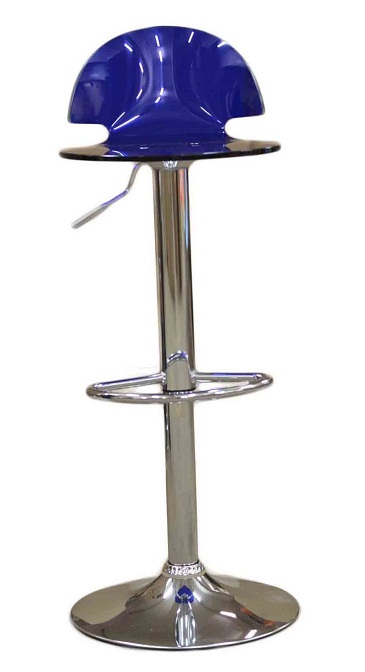 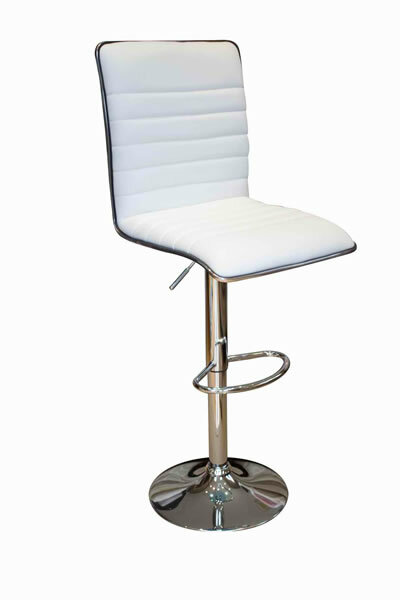 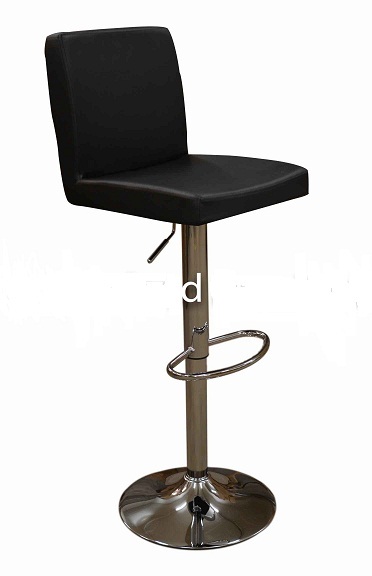 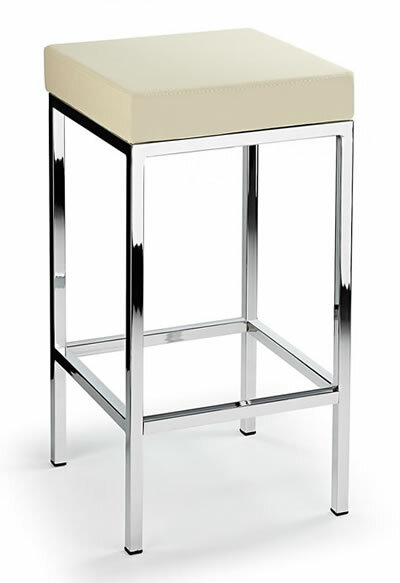 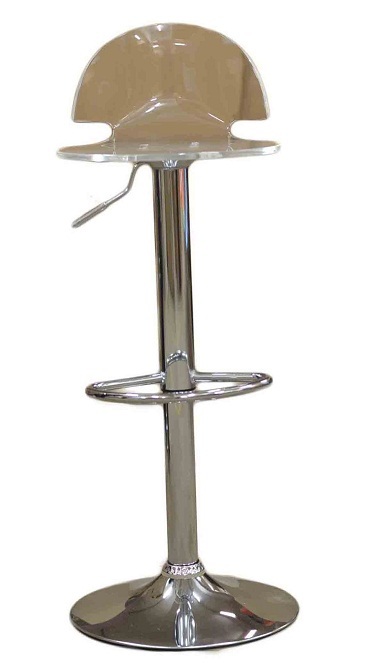 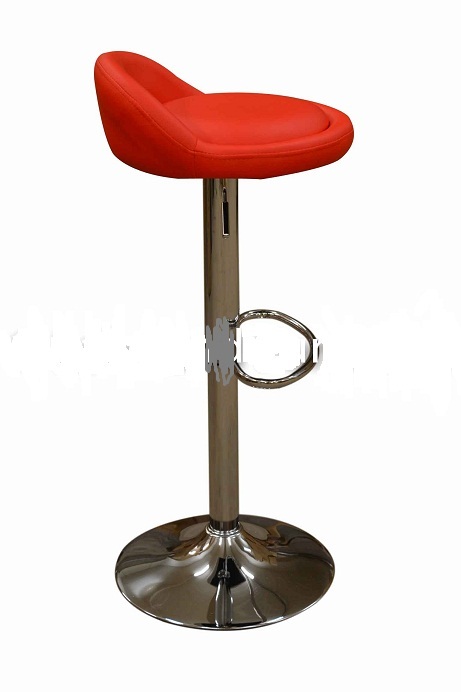 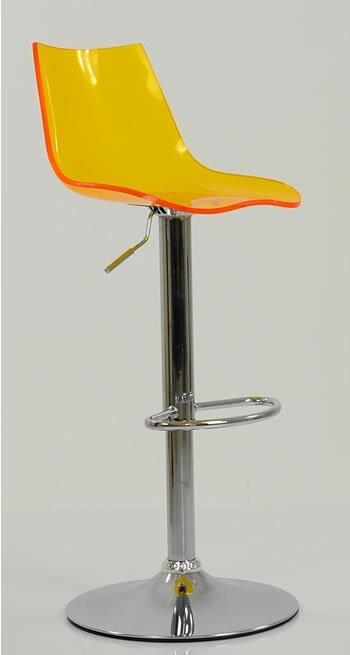 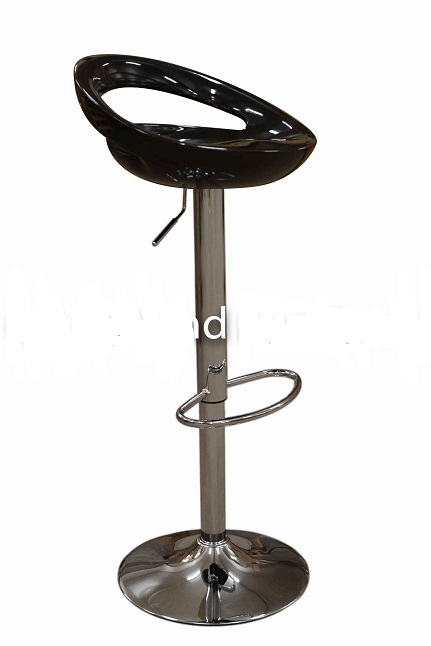 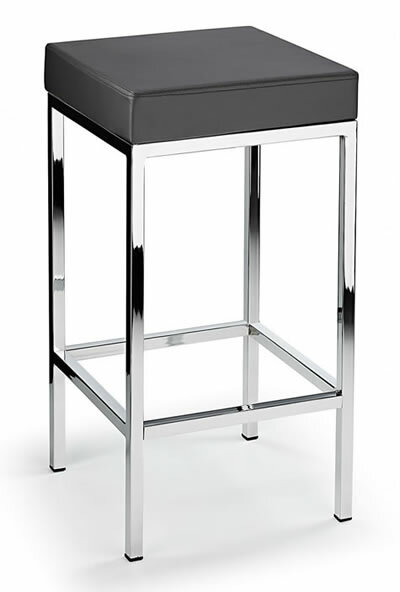 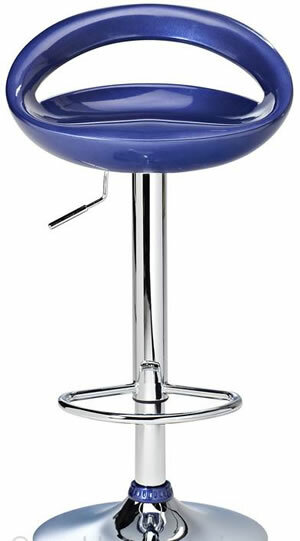 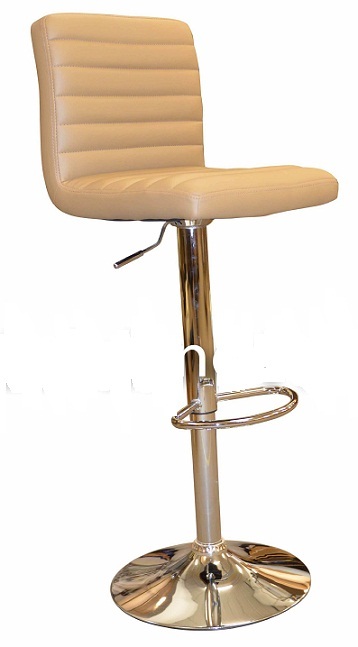 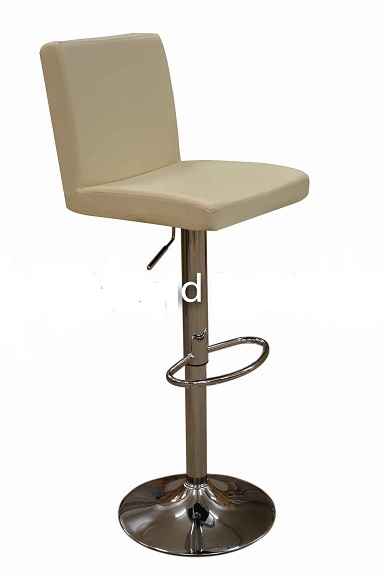 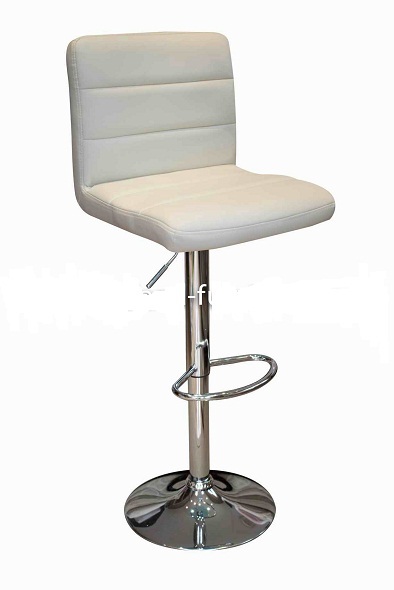 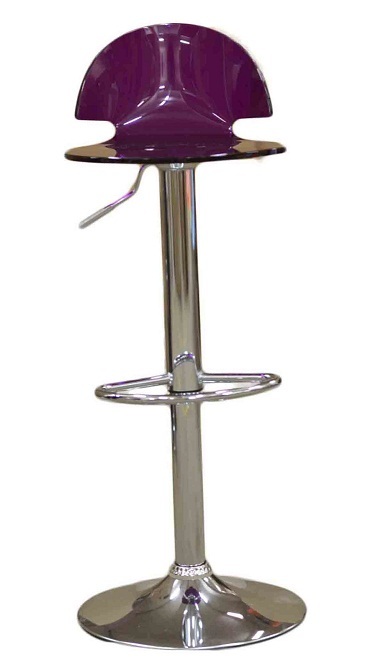 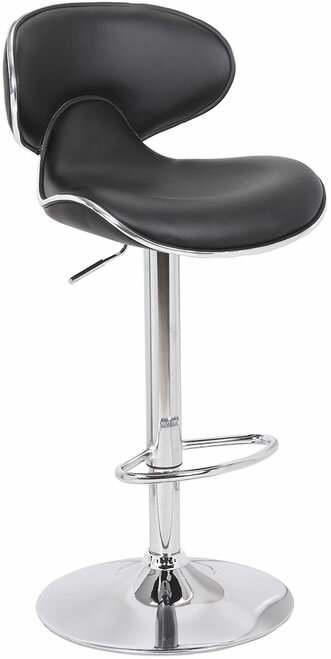 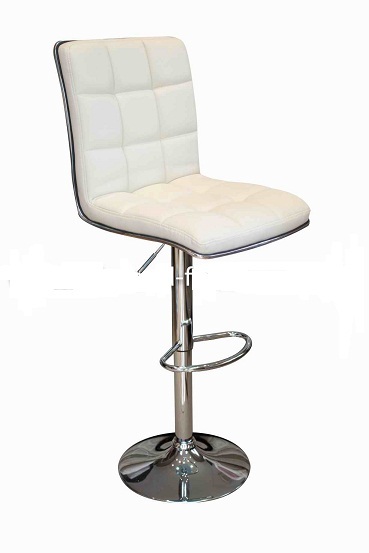 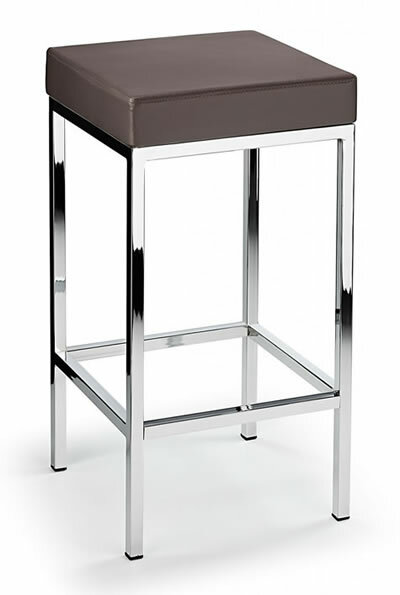 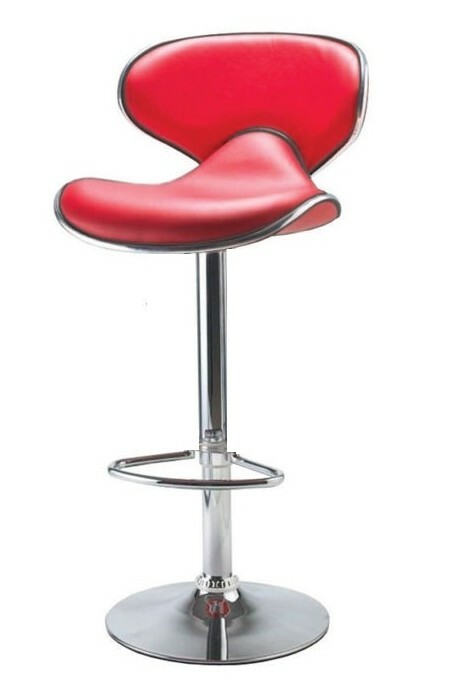 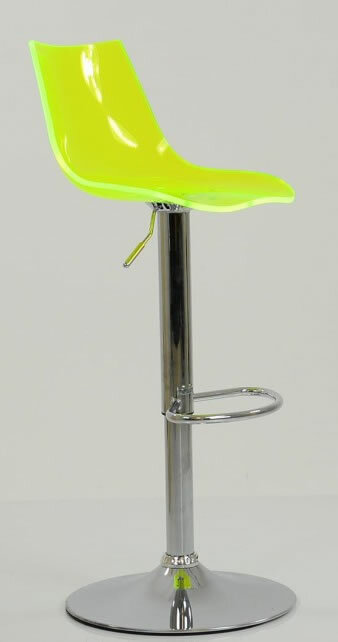 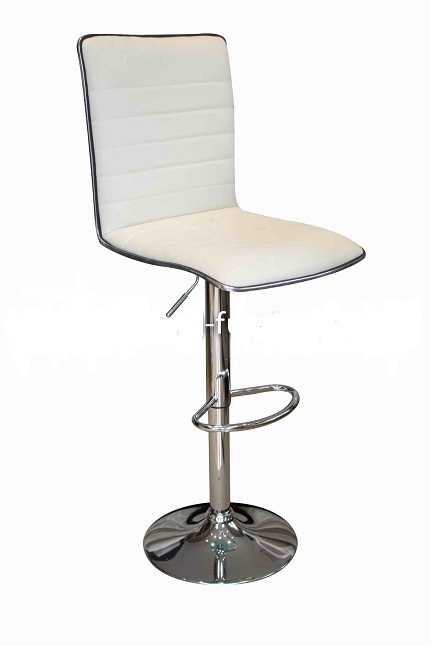 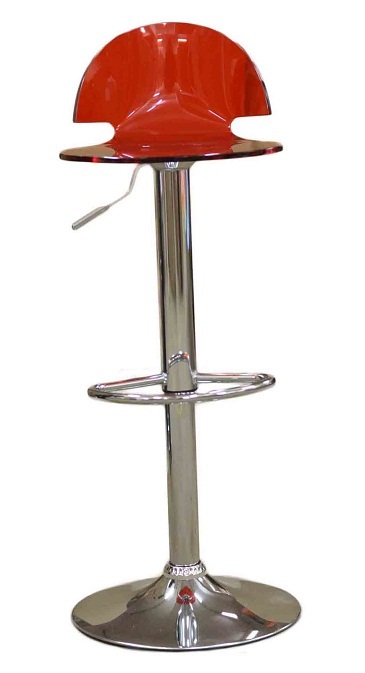 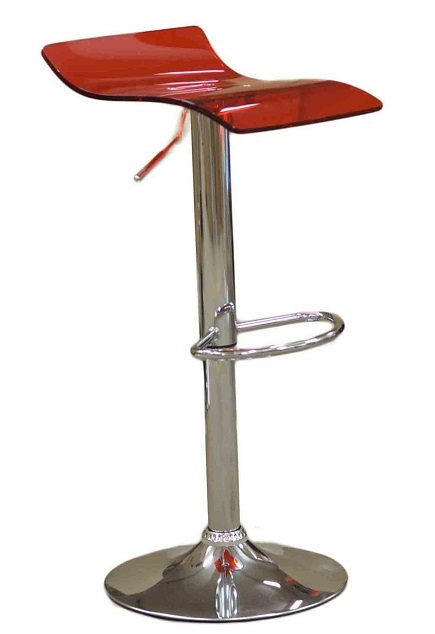 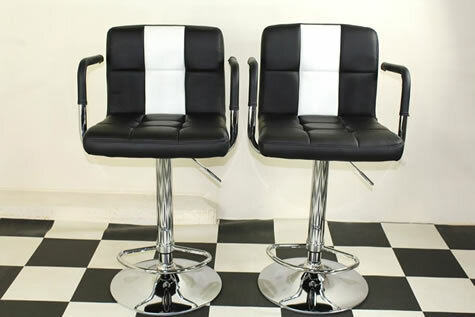 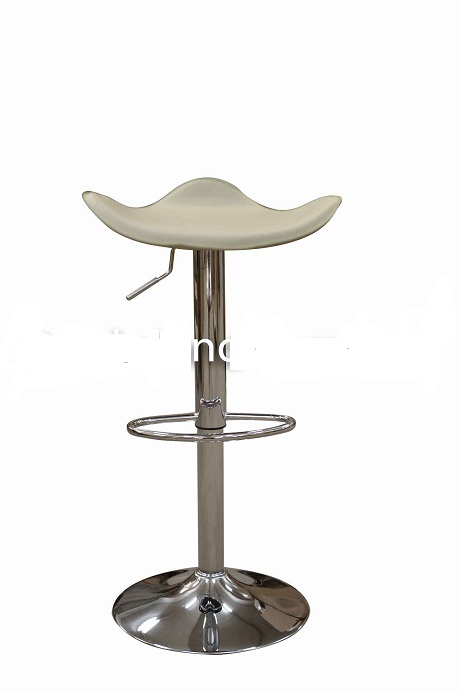 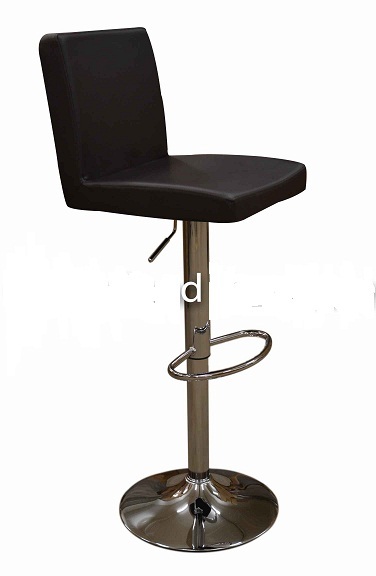 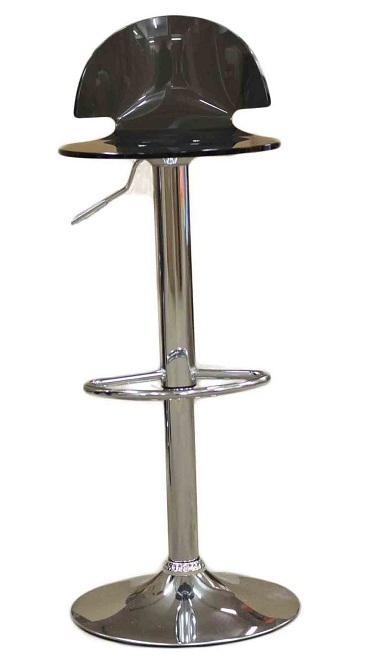 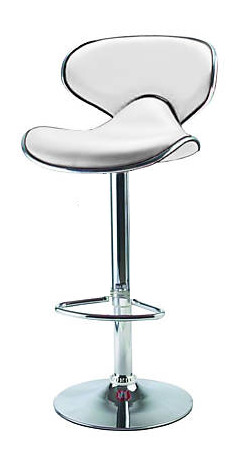 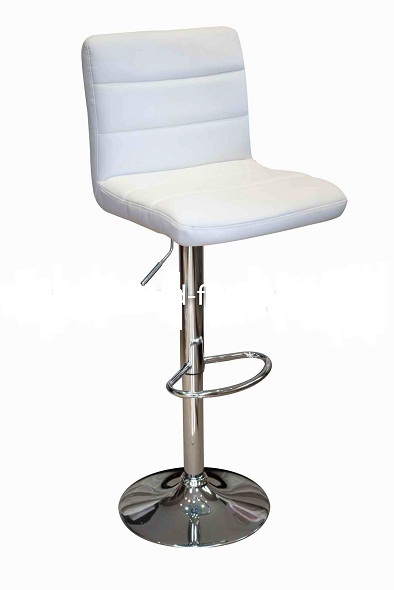 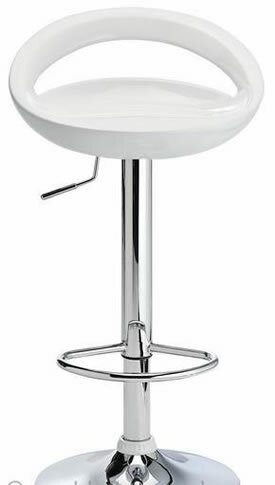 The bar stool is a combination of a chrome base with a floor protector and faux leather seat. 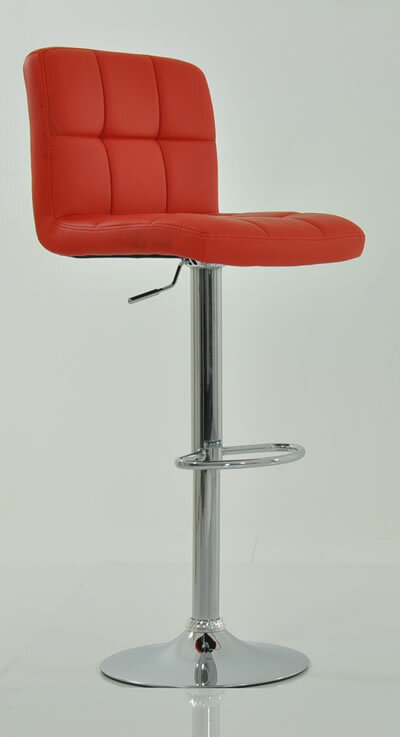 The height is adjustable and the seat has a 360 degree swivel. The seat is available in Black, Brown, Cream. Pharoh Funky Chair - Red, Padded Swivel Seat, with Unique Design.